A gardener is justified in thinking of growing tomatoes in this way: a little more fertilizer, a little more water, and a little more sunlight each lead to a little more tomato growth. But imagine a garden in which the effect of fertilizer on tomato growth is dependent on the recent gradient of water provision, and the effects of both positive influencers depend substantially on the recent amount of sunlight available. Under these circumstances it is difficult to predict the aggregate size of the tomato given information about the quantities of the inputs. One of the key insights of complexity science is that generativity is fully compatible with a wicked level of complexity. 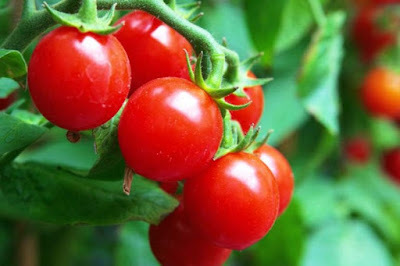 The tomato's size is generated by its history of growth, determined by the sequence of inputs over time. But for the reason just mentioned, the complexity of interactions between water, sunlight, and fertilizer in their effects on growth mean that the overall dynamics of tomato growth are difficult to reconstruct. Now consider the idea of strong emergence -- the idea that some aggregates possess properties that cannot in principle be explained by reference to the causal properties of the constituents of the aggregate. This means that the properties of the aggregate are not generated by the workings of the constituents; otherwise we would be able in principle to explain the properties of the aggregate by demonstrating how they derive from the (complex) pathways leading from the constituents to the aggregate. This version of the absolute autonomy of some higher-level properties is inherently mysterious. It implies that the aggregate does not supervene upon the properties of the constituents; there could be different aggregate properties with identical constituent properties. And this seems ontological untenable. Thanks for this. It crystallized a question for me that I can illustrate with a simple example. Suppose we have a very lightly settled territory with a river, and the river has a couple of convenient landing spots a few miles apart. Suppose in simulations, a city will grow around one of these, but not both (growth around one inhibits growth around the other). And suppose that for "reasonable" parameters, which one gets chosen is evenly balanced, just a function of multiple random events -- e.g. in simulations the choice is dependent on the choice of a random number seed. In some sense then the choice of city site is totally mechanistic and micro-founded, so only weakly emergent. Conversely however we can never isolate any property of the agents that "picks" one or the other city centers. One key difference here from your examples (e.g. a cake) is that in choice of the city site each agent's choices depend on other agents' choices. In a cake the interaction of flour, sugar, baking powder, liquid etc. is pretty much independent across the whole cake. I think this kind of quasi-strong emergence is in fact pervasive in the social world. It shows up in relatively neutral choices such as the city location above, but also in the generation of innovations, which leaders and celebrities get "critical mass", the timing and form of social crises and responses to those crises, and so forth. Furthermore, as social structure is generated more and more by intangible processes with no fixed physical base (i.e. social interaction hosted in the cloud) this sort of emergence is becoming more powerful, less constrained by the physical distribution and concrete situations of social actors. As we have seen unexpected new institutions, political configurations and crises can suddenly emerge in our increasingly intangible world.